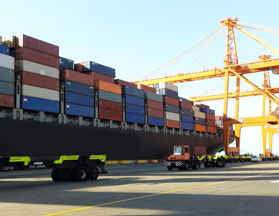 We have the necessary experience and infrastructure to provide comprehensive and professional services for Container Liner Services encompassing vessel operations, sales, brand marketing, container on Hire/Off Hire/Container Sale & Purchase, Equipment Inventory Control services and a host of back up services for a successful container liner operation. We rely on our knowledge of the market to successfully handle container liner services on various geographical trade lanes. We specialize in roll-on, roll-off (RORO) shipping, that is to say self-propelled cargo capable of being driven on and off vessels. Roll on, roll off shipping is the safest, fastest and most cost-efficient way to transport wheeled cargo, in particular plant, machinery and project cargo that is oversized. We count on our knowledge of the market to effectively handle container liner services on various geographical trade lanes.